With the world relying on electricity you may have found yourself suffering from the loss of power. With an uninterruptible power supply you will never have to suffer again. The device has the ability to supply electricity for a certain amount of time after a power outage or utility failure in order for any unsaved data to be properly saved before shutdown. Never again will you lose your unsaved research on your computer because of a utility failure. An uninterruptible power supply can be used to back up power on computers, servers and any other piece of equipment. Some models can even back up an entire household or business if necessary while acting as a surge proctor at the same time. If this sounds like something you might benefit from you should consider purchasing one of your own. When making your purchase there is much to consider and think about before purchasing. It makes a big difference if you are only intending it to back up a personal computer versus the server to a large corporation. It all depends on what you are looking for. The first step in purchasing a UPS device is knowing the amount of devices you may need to protect. Just in the protection of one computer you might need to include the monitor, tower, cable modem and router. If you happen to make the wrong purchase you might think you are protected until a power outage. You will then find out you weren’t protected and it will be too late. Once you determine what you need to protect and how much power is required, you will want to determine the amount of time you want your devices to remain functioning after a power outage. You might be simply looking for a few extra minutes in order to save data and properly close down programs. Or, you might need enough time for an entire business to shut down properly to save sensitive information or even possibly remain completely functioning for a couple hours. It makes a big difference when deciding what to purchase. Determining what you need is half the battle when purchasing an uninterruptible power supply. Once you know what you need your can start your search. Uninterruptible power supply devices come in a variety of sizes, capabilities and even prices. For example, if you know you are looking to back-up a large amount of equipment you will need to look into only those capable of doing so. Otherwise, you might purchase the wrong once resulting in inadequate power supply. Also, know your budget. Don’t set yourself on a certain device you know you can’t afford. There are options for all needs and budgets. Choose the right one for you. After you have researched your purchase and made the best purchase to meet your needs you will need to properly set up the equipment to ensure that it is functioning properly. Again, it is useless to have the equipment if it isn’t functioning to meet your needs. Once set up, the equipment itself requires minimal maintenance and upkeep. However, you will want to make sure the UPS is located in a ventilated area. Do not allow the device to overheat and especially do not store paper products next to it. Just like any other electrical device, it will put off heat. Make sure to keep it clear of clutter and you will be set. Now that you know what steps to take purchase an uninterruptible power supply today and never suffer from lost data again! 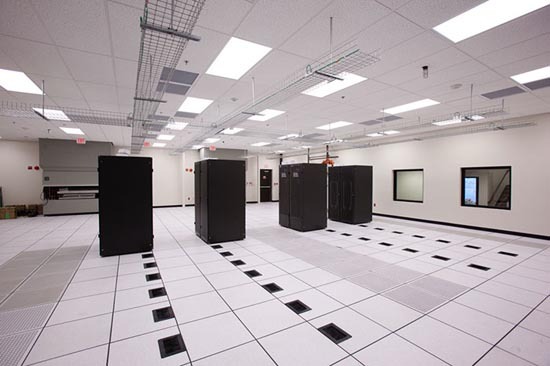 This entry was posted in data center maintenance, Facility Maintenance, Uninterruptible Power Supply and tagged Uninterruptible Power Systems, UPS, UPS Batteries, UPS maintenance, UPS Systems. Bookmark the permalink.